Alan McHughenholds several patents in his field, including one of the first for a higher lifeform. 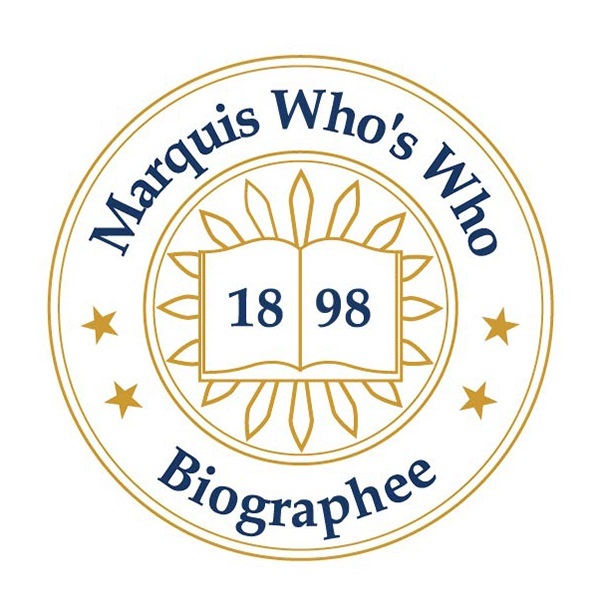 RIVERSIDE, CA, September 18, 2018 — Marquis Who's Who, the world's premier publisher of biographical profiles, is proud to present Alan McHughen, Ph.D., with the Albert Nelson Marquis Lifetime Achievement Award. An accomplished listee, Dr. McHughen celebrates many years' experience in his professional network, and has been noted for achievements, leadership qualities, and the credentials and successes he has accrued in his field. As in all Marquis Who's Who biographical volumes, individuals profiled are selected on the basis of current reference value. Factors such as position, noteworthy accomplishments, visibility, and prominence in a field are all taken into account during the selection process. A molecular geneticist and professor of botany and plant sciences at the University of California (UC), Riverside, Dr. McHughen has enjoyed many opportunities in his field and has achieved much growth in a once obscure field that has greatly evolved thanks to DNA technologies. Maintaining an interest in crop improvement and environmental sustainability, he was responsible for helping develop United States and Canadian regulations governing the safety of genetically engineered crops and foods. Boasting firsthand experience with the relevant technical, biosafety and policy issues from both sides of the regulatory process, he was also responsible for having developed internationally approved commercial crop varieties using both conventional breeding and genetic engineering techniques. First lecturing at Yale University beginning in 1979 and teaching at the University of Saskatchewan in Canada before accepting an opportunity at UC in 2002, Dr. McHughen also spent one year as a senior public policy analyst, Executive Office of the President, White House, Washington DC, and Jefferson Science Fellow for the U.S. Department of State in Washington, DC, in 2012. He also served on U.S. National Academy of Sciences panels investigating the environmental effects of transgenic plants, investigating the safety of genetically engineered foods, and reviewing sustainability and economic impacts of biotechnology on United States agriculture. Dr. McHughen is the award-winning author of “Pandora's Picnic Basket: The Potential and Hazards of Genetically Modified Foods,” which won the Book of the Year Award from Science Writers of Canada in 2000. Contributing many articles to scholarly journals during his tenure, he is currently working on a book that will explain DNA to the public, which he hopes to release in 2019. An elected fellow of the American Association for the Advancement Science and the American College of Nutrition, Dr. McHughen is the former 16-year president of the International Society for Biosafety Research. The recipient of a Jefferson Science Fellowship by the National Academy of Sciences in 2011, he holds several patents in his field, including one of the first for a higher lifeform, and has been responsible for developing public sector commercial transgenic and conventional crop cultivars. Born in Ottawa, Ontario, Canada, Dr. McHughen has held a Doctor of Philosophy from Oxford University in England since 1979. Married to his wife Donna Greschner with two children, he has been included in multiple editions of Who's Who in America, Who's Who in the World, Who's Who in the West, Who's Who in Medicine and Healthcare and Who's Who in Science and Engineering. In recognition of outstanding contributions to his profession and the Marquis Who's Who community, Alan McHughen, Ph.D., has been featured on the Albert Nelson Marquis Lifetime Achievement website. Please visit www.ltachievers.com for more information about this honor.